Home > **50% OFF! ** VINTAGE PATTERNS For Women & Kids > **50% OFF! 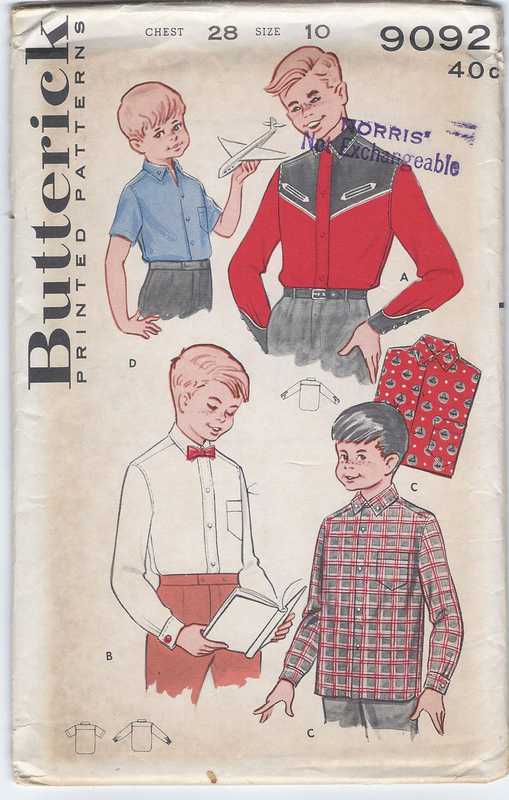 ** VINTAGE PATTERNS for Children > Butterick 9092 Boy's Cowboy Shirt, Chest 28"